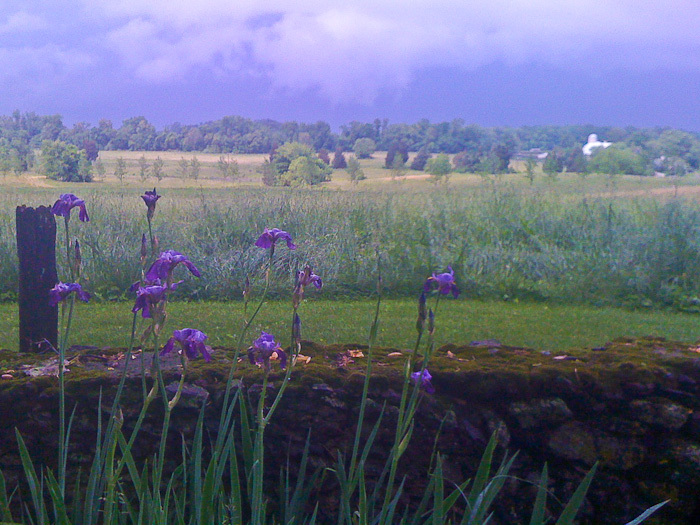 Spring in the Virginia Piedmont means beautiful flowers, lush green fields and impressive thunderstorms. This week we’ve experienced more than our fair share of storms, with the torrential rains they bring resulting in flash flooding throughout our communities. After meeting with a client this afternoon, I raced back to Middleburg just before this afternoon’s torrent arrived. The thunderheads were rolling with energy, the air hung still in anticipation, and you could sense the eerie electricity in the atmosphere. Caught without my camera, I pulled out my trusty iPhone and snapped a few photos before the downpour chased me inside. I’ve always been intrigued by storms and have enjoyed photographing them. I hope one day to capture an image through the lens that shows their intensity and strength because so far that photo has eluded me. Until then, I’ll continue to practice and experiment, marveling in their incredible power and beauty.